The name remains the same: AMP NZ gets to keep its brand after its Australian parent abandoned well-flagged IPO plans for its allegedly sluggish Kiwi child last week. But the surprise rebranding of the NZ wealth arm from a secondhand-sale item to a growth prospect was down to upper-level management changes rather than lack of investor appetite for the proposed float, according to Blair Vernon, AMP NZ chief. However, he said the new AMP management team, including chief Francesco De Ferrari, had reassessed the prospects for the NZ business, which was previously slated as ‘manage for value’ (code for ‘sell as soon as possible’). De Ferrari has “reaffirmed AMP’s commitment to the AMP Wealth Management New Zealand business with a clear mandate for growth, and consequently has deferred any further consideration of an IPO,” Vernon said in a release last week. Market feedback, though, suggests there was muted investor enthusiasm at best for the AMP NZ listing, especially at a time of growing volatility and impending regulatory change in the advisory industry. Tellingly, just days after the AMP move, the Commonwealth Bank of Australia (CBA) ditched similar plans to list its rump wealth management business on the ASX. 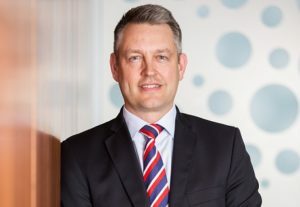 Like the mooted AMP NZ float, CBA had scheduled a listing late in 2019 for its remaining wealth businesses, comprising superannuation funds, investment platforms, non bank-branded financial planning licensees and mortgage-broking network. The Australian bank offloaded its A$200 billion plus funds management business, Colonial First State Global Asset Management (CFSGAM), last year to Japanese financial conglomerate Mitsubishi UFJ for A$4.2 billion. Prior to the trade sale, CFSGAM was to be included in the CBA wealth float. In a market note published last week, CBA says it had “suspended preparations for the [wealth] demerger” to complete an almost A$1.5 billion tidy-up in the wake of the recently-concluded Australian Royal Commission into financial services (RC). “CBA remains committed to its strategy to become a simpler, better bank, including ultimately the exit of its wealth management and mortgage broking businesses,” the note says. Given CBA’s struggles to list its wealth business on the ASX, the failure to float the relatively tiny AMP NZ unit was not surprising. For Vernon, the news, at least, removed the major distraction of trying to sell AMP’s virtues to skeptical fund managers and brokers. Firstly, AMP NZ has to complete its divorce from the life insurance business, which is expected to wrap in the third quarter of this year. AMP accounts released this year show the life business represented about half of the NZ group profits. Last week, Therese Singleton, previously AMP NZ head of sales and advice, was named as executive general manager of the local life business as it shifts to new owners, Resolution Life. “Therese provides continuity for both AMP life clients and us during and after the transition,” Vernon said. After life ends, the AMP NZ wealth business would essentially comprise a large but stagnant investment unit and a recently-shrunk adviser distribution force: the group manages about $11 billion across its $5 billion plus KiwiSaver scheme, $3.2 billion superannuation master trust and roughly $3 billion of external funds held on its investment platform; recent figures show AMP NZ adviser numbers fell by 60 over 2018 to finish the year at 350. Vernon said the declining adviser numbers represented both exits from AMP’s Quality Advice Network (QAN) and “natural attrition” across an aging cohort in the tied advisory workforce. QAN members can access AMP advisory services but don’t necessarily have ownership ties with the wider group. The looming Financial Services Legislation Amendment Bill (FSLAB) could see more advisers leave the industry, Vernon said. A last-minute change to FSLAB limiting adviser formal links to a single provider, further muddies the water, he said. He said the change would challenge current practices of many independent financial advisers (IFAs), given many of them – especially insurance specialists – have agency relationships with several providers. “We’re working hard to understand what [the FSLAB] changes mean,” Vernon said. Meanwhile, with the IPO abandoned AMP NZ would, as before, share the same corporate stable as AMP Capital NZ, albeit with different reporting lines. “We will continue to be a related party but we will have the same arms-length relationship with AMP Capital that we have with every other fund manager,” Vernon said. Across the ditch, AMP is facing further fallout from a disastrous showing at the RC, which claimed a raft of executive and board casualties. For example, last week the Australian regulator boasted a victory that saw AMP legal adviser, Clayton Utz, hand over internal notes relating to a controversial report cited in the RC. More legal action – including potentially criminal charges – is looming for the Australian business. While AMP NZ escaped any direct hit from the RC, the group will have to respond by June to a stinging life insurance industry regulatory enquiry – along with others. Vernon said AMP was ahead of the regulatory curve after capping life insurance commissions and banning soft dollar excursions. Regardless of the float-flip, AMP NZ will be a much-changed entity by the end of the year as it finally casts off the life insurance business and takes FSLAB on board: in fact, the name might be one of the few things that stays the same.